Over the last five days we have been hooking in to the preparations for the weddings and weeks ahead. We have corresponded numerously back and forth with our brides and grooms, our suppliers and the other creatively inspiring vendors for the weekend. We have beat the sun getting to Brisbane for the markets, gone to the airport to pick up our interstate orders and visited our local suppliers for their amazing organic produce (environmentally friendly is what we’re all about!). SO! What does Saturday entail? Well, being slightly obsessive perfectionists (let’s be real) means we still have a myriad of work to finish before the flowers get our final tick of approval. Most of our brides have enquired with us over 12 months in advance so we certainly feel the need to make all their efforts for the past year (as well as our own!) culminate in a seriously bangin’ finale. Which means passing every aspect of each wedding under several of our very particular human microscopes; every petal is scrutinised, every leaf shined, every vase polished, every candle wick stood up etc etc. Once this has all been done, once all of our bouquets are bound and tied and our wire-work completed (this needs to be done on the day to ensure optimum freshness) the cars get packed and we hit the road. Being the sticklers for perfection that we aren’t ashamed to admit we are, means we have a lot of additional stressors on the big day. First and foremost is the weather *cue the ominous music*. Outdoor ceremonies that require large installations (hanging features, arbours, and many more) are certainly some of the most stressful (yet totally rewarding) parts of the job! Flowers are and always will be an extremely perishable commodity. So when we are all packed up on our way to a set-up our ceremonies and it’s looking extremely grey/is already raining, our brains begin their unrelenting internal analysis of questions, answers and perfunctory yet heartfelt prayers in an attempt to control what we really can’t. Alternatively, if the sun is shining and it’s a brilliantly hot spring or summer’s day, that little voice in our heads will also make us suffer an unwanted game of 1000 questions; will the flowers last in the sun and the heat? How long can we put off installing the flowers where we still have a little time left to spare? Trust me, the mental thrashing is endless. However, I am proud to say that over the course of Willow Bud’s life we have installed numerous floral structures in precarious weather situations (sometimes even in absolute deluges) and all have lived to tell their glorious tale! Moving on, as you probably know each wedding is different in terms of its requirements for our time and expertise on the wedding day. However, on a typical wedding-season Saturday this is what our further duties entail: personally delivering the bouquets to our brides, spending a little time giving instruction on how to hold them for the ceremony and photos (and also just to make sure each bride is excited and doing ok)! We personally deliver the buttonholes and corsages and attach them where possible: we set up each ceremony, cocktail and reception area with centrepieces, garlands, more hanging structures with candles here and there. We decorate the cakes and most of the time we will spend extra time making sure everything is perfect. But even though Saturday’s are our busiest days of the week (especially in terms of logistics) and more often than not we finish the day resembling a bunch of zombies not really remembering what we’ve done and where we’ve been, there is always a sense that we have achieved something great. When we see what our hard work, team work, creativity, determination and problem solving skills can achieve it is immensely rewarding. Our phones and cameras are all full of photos from the things we create weekly, and I wouldn’t have it any other way! I love this job, I love my team and I love that all of these things together make Willow Bud what it is today. Now off home for a nice warm bath, a glass of pinot and a really, really good book. 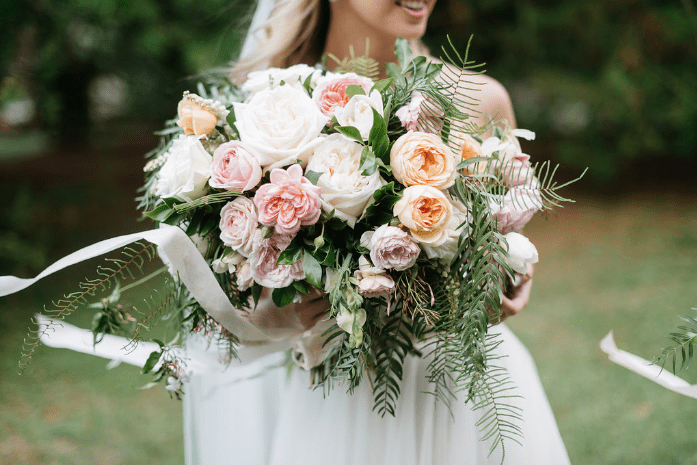 All images of Kacie and Patrick’s elegant wedding beautifully captured by Trent & Jessie Photography.